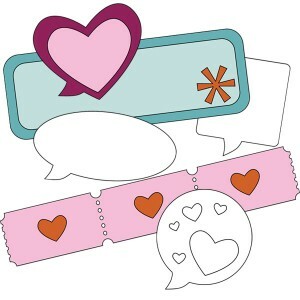 What better way to say "I love you" this Valentine's Day than with this set of thought bubble stamps. 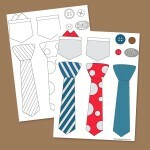 This set includes 6 different printable stamps. Each stamp comes in both black and white and color .PNG files. 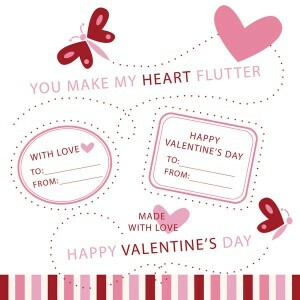 I saw the cutest card last week with the saying "You Make My Heart Flutter". I just couldn't wait to make my own! This set comes with individual colored PNG files and a Photoshop brush file. P.S. Please, please, please upload a picture of you Valentine projects or cards below. I would love to see them! Oh how I love making Valentine Cards and these adorable, funny little Valentine digital stamps are just perfect. Add them to cards, treat toppers or anything else you can up with. Each Valentines stamp comes in both a color and black and white versions. They are PNG files that can be easily printed or layered on top of other digital files.